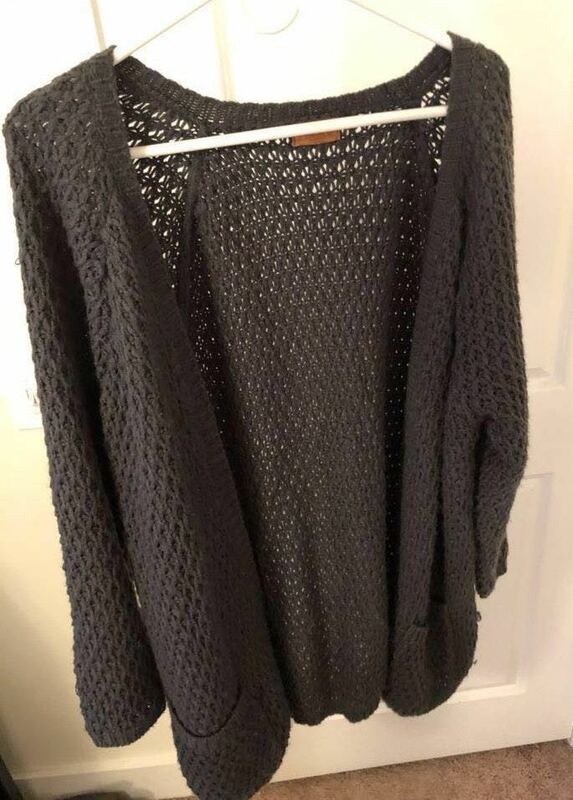 dark grey knit cardigan from These Three. worn a few times, but perfect condition. side pockets.